Anthony Trappe says for the past seven years he has been a faithful customer to his insurance company; never once missing a payment on his property insurance policy which he entrusted to a company based in the territory. 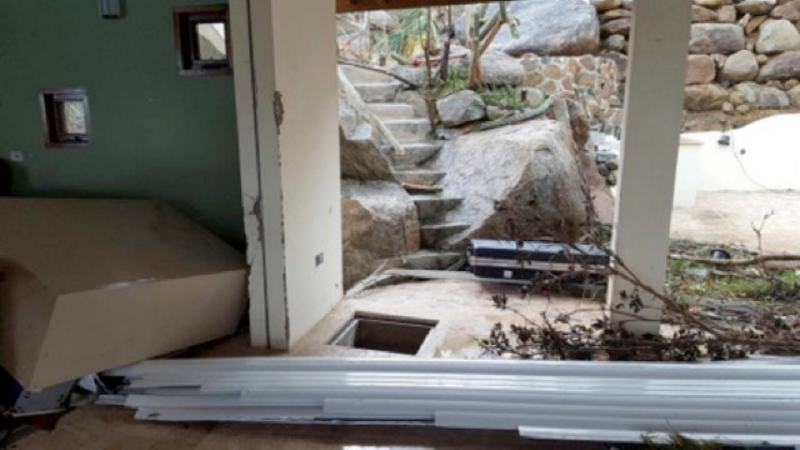 Following the passage of Hurricane Irma on September 6, his house, like many others, sustained significant damage, leaving him with no other choice but to make claim on his policy to help rebuild the house located in Little Bay East End. However, more than a month after making the claim, Trappe said he has been left in a conundrum with no indication from his insurer that his claim will be settled anytime soon. “We have paid every single bill that we ever had, on time or before time. We put in our initial claim after Irma, the first time we ever claimed,” Trappe told BVI News Online. According to him, after submitting his claim on October 2, he requested from his insurer that an assessor be sent to his home to look at the damage suffered, but they failed to act upon his request. Noting that he has also sent several emails to the company and has not received a reply, Trappe said he is now “tidying up” the property and recording the damage. “We understand people are busy, [but] the things that make us upset about the whole thing is, I am listening to advertising on the radio every day where they [the insurance comany] are looking for new business. It’s not good to hear when I can’t even get them to answer my emails,” he bemoaned. Meanwhile, speaking on the extent of the damage suffered, Trappe noted that despite hurricane shutters being in place at the time the hurricane struck, the interior of his house suffered significant damage. He said according to a private assessors report, it will cost $576,000 to repair his property.